Our business is the efficient and safe transport of your goods, to which the proper packing and crating can contribute largely. Therefore we take care of your packing procedures. 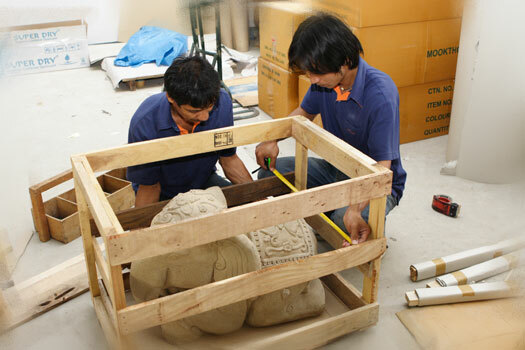 We either pack on-site at your facilities or pick up the unpacked cargo and pack it at our premises. We can provide standard-sized packing material or build custom-designed packaging specially suited for your product, based on the type of your cargo or the mode of transportation.